EXL115 is the popular choice for players who prefer moderate flexibility and a full, beefy tone. 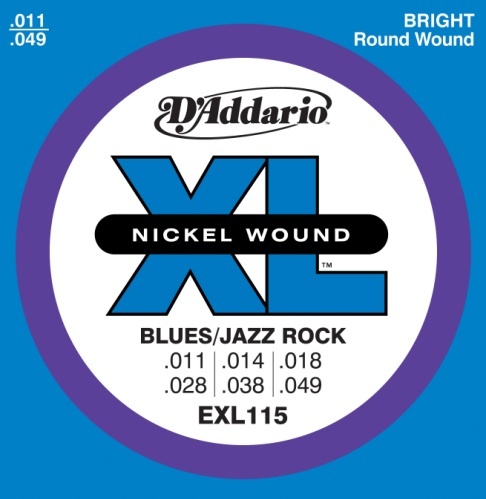 XL Nickel Wound, D&#39;Addario&#39;s most popular electric guitar strings, are precision wound with nickelplated steel onto a carefully drawn, hexagonally shaped, high carbon steel core. The result, strings with long lasting, distinctive bright tone and excellent intonation, is ideal for the widest variety of guitars and musical styles.